On Thursday, April 19, 2018, all 4 classes gathered during lunches to participate in the Class Wars lunch games. There were games and activities for each day, and representatives from each class stepped up to play for their class. The winner for each game gets the chance to earn additional points for their class. Thursday’s game was cup relay, where the participants complete a series of cup-related activities and the first to finish wins. 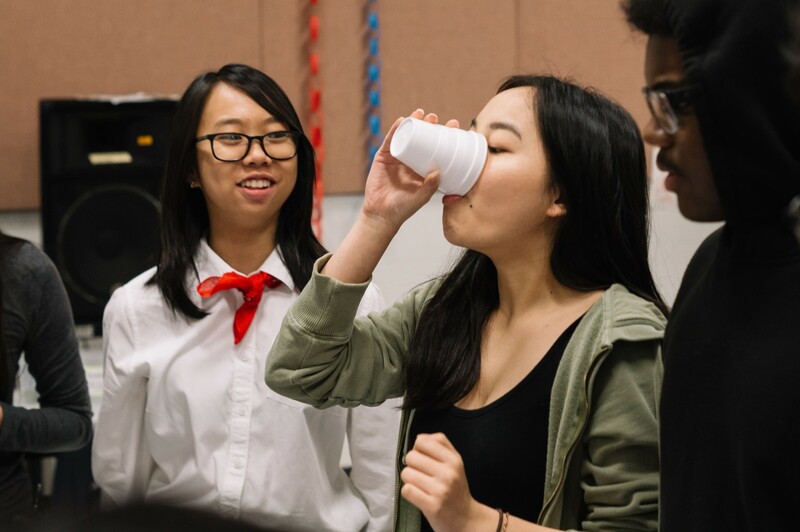 Maggie Le (12) watches as Ann Le (12) chugs down a cup of water for the cup relay game. The game started and ended with a person chugging a cup of water. Fixated on the clear plastic cups before him, Kurtis Deschamps (12) carefully places the cup at the top of the tower. 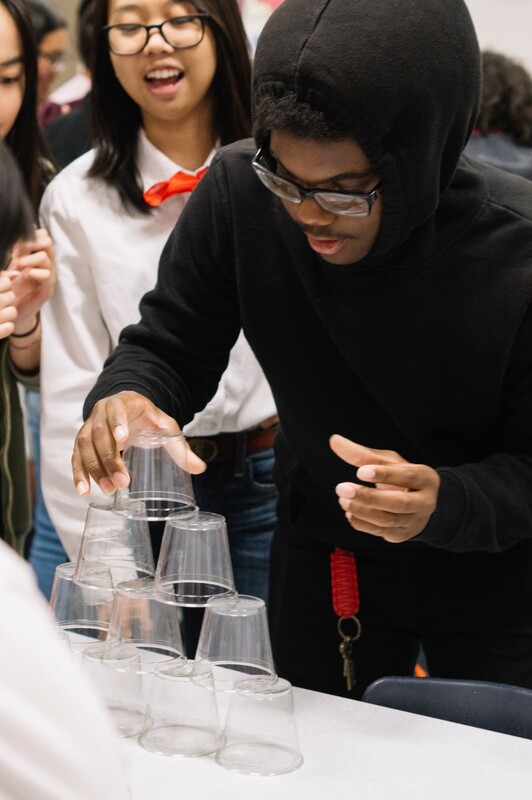 The goal was to build a cup tower as quickly as possible and put the cups back into stacks. 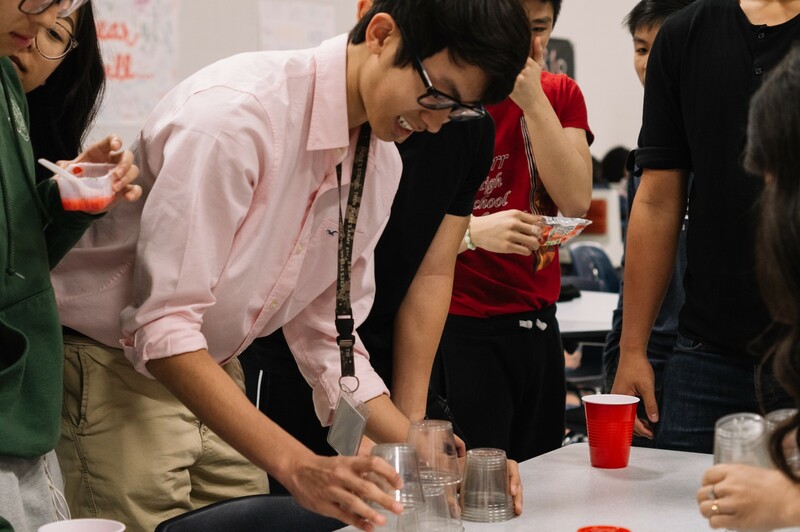 After successfully chugging down his cup of water, Edison Huynh (12) fixes the cup on the edge of table before flipping it. In order to move onto the next activity, he needed to flip the cup so that it lands on its rim. 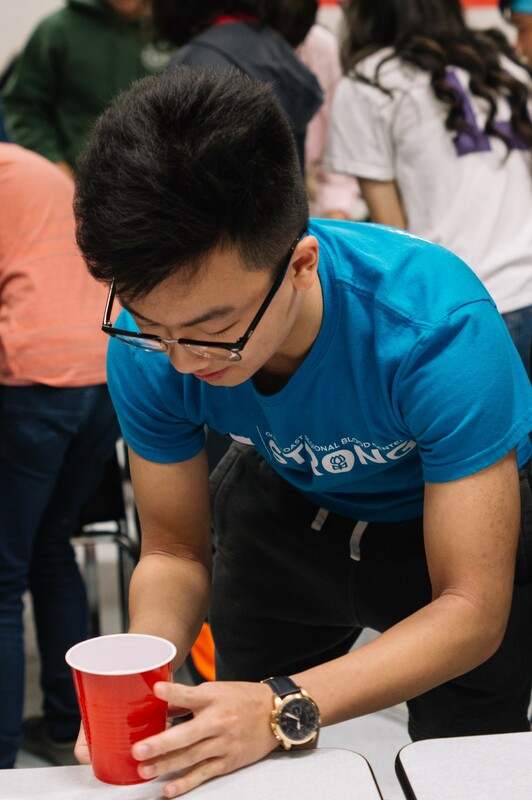 Attempting to be as speedy as possible, Khang Le (11) stacks plastic cups to build a tower to complete the cup relay. He was under a lot of pressure to win for the juniors due to how they were close to placing first. 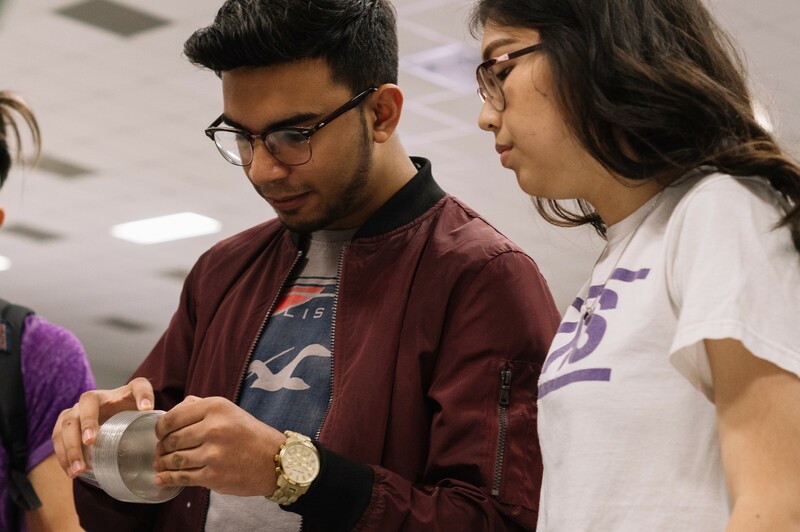 Taking apart the stack of cups, Syed Fatmi (10) and Caitlyn Huynh (10) prepare to build a cup tower as fast as they can. Stacking the cups was the second to last activity in the cup relay.